Choose from a selection of 9 holiday rentals in Sant Pere Pescador. Use the search form to the left to filter the results and pick your choice of self catering accommodation in Sant Pere Pescador. We have a good selection of holiday apartments in Sant Pere Pescador perfect for family, single, romantic and group holidays. You may prefer to take a look at our listed holiday villas in Sant Pere Pescador or holiday apartments in Sant Pere Pescador. Find your holiday homes by a specific type using the property type drop down in the filter. Filter the holiday homes in Sant Pere Pescador by a specific area using the area list above. This large holiday house is located near the beaches of Sant Pere de Pesador. It has 5 bedrooms and 3 bathrooms, and is ideal for large families or groups of up to 10 people. 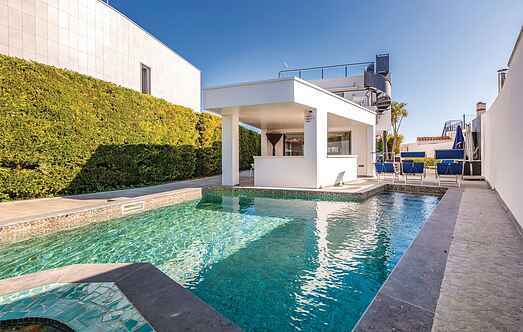 This dreamlike holiday home with modern amenities is located near the expansive beach of Sant Pere de Pescador. This beautiful holiday home you and your family can expect a completely successful holiday. This practical, single storey cottage is built in the simple but functional style which is typical of the region. This fantastic holiday house is certainly one of the most attractive houses in one of the best locations on the Costa Brava.